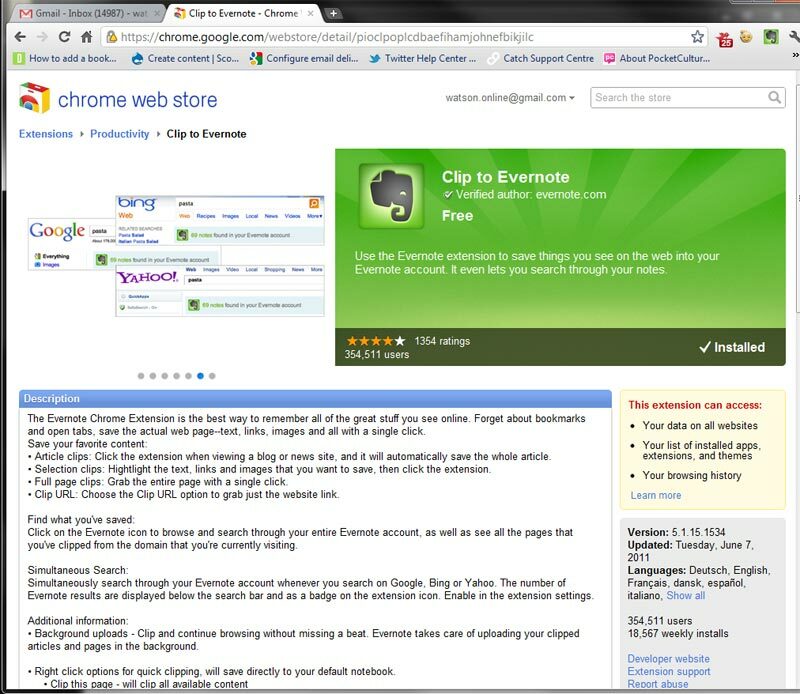 Here's a good reason to have Google Chrome on your computing device if you're using Evernote. There's an Evernote app for the Chrome! Makes it easy and convenient to clip a selection, a page or the url off a web page. 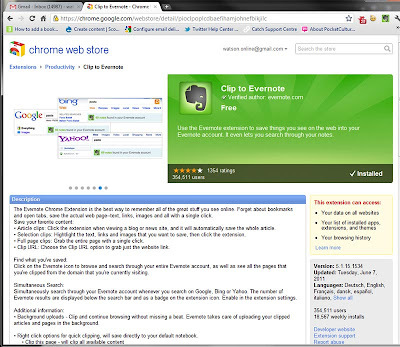 Just head to the Google Chrome Store to download and install the "Clip to Evernote" app for free.